One of my children's most watched films is 'The Lorax', based on the book of the same name by the famous author, Dr. Seuss. It is a fable chronicling the plight of the environment as the 'Oncer-ler', a character representing corporate greed, strips the land of natural resources for production of a 'Thneed'. It highlights the dangers of unsustainable growth as the last 'Truffula' tree (the Once-ler's major raw material), is cut down forcing the Once'lers factory to close. 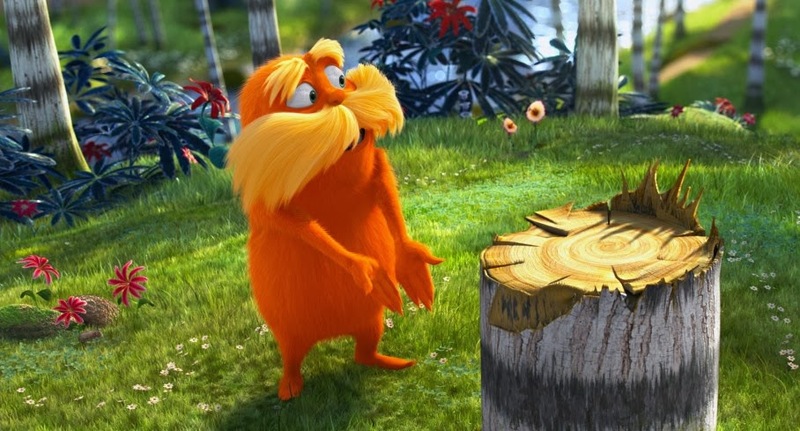 In the mean time, all the wildlife that coexisted with the Truffula trees becomes displaced as their environment is filled with toxic pollution. 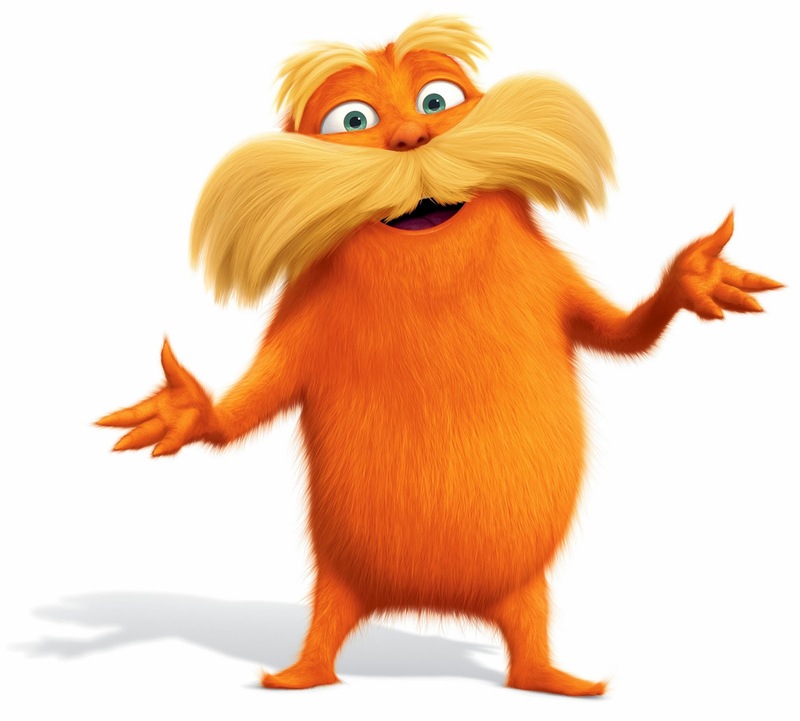 This past weekend, I jumped at the chance of taking my daughter to meet a real life Lorax, who like Dr Seuss was 'giving voice to the trees for they have no tongue'. Doug Tallamy, who I featured in a post entitled America's Top Gardeners is a Professor of Entomology and Wildlife Ecology for the University of Delaware. He was in town to talk about award winning book, 'Bringing Nature Home ', and to address the plight of our own environment. What I discovered during the presentation was a revelation, that my own gardening philosophy was causing more harm than good. Tallamy discussed that 96% of bird life relied heavily on insects, mostly caterpillars, to feed their young. These protein rich morsels contains pound for pound more protein of beef that allows chicks to develop quickly. However, this food supply has been declining, adversely effecting everything within the food-web. So frightening is the rate of decline that since 1966 we've seen a drop of 1% per year of migratory birds who over winter in Central and South America. That is a 50% reduction in 50 years! Habitat loss is one area of concern but failing food-webs are the other. As we all know, most insects feed on the foliage of plants. Plants are able to capture the energy of the sun, while insects are very good at converting this plant tissue into other types of energy, in the form of themselves. But, plants are smart. Many plants produce toxins to prevent being striped of foliage, which would lead to their demise. As a result, selected insects have co-evolved with selected plants to become exclusive consumers, resistant to the toxin that would otherwise kill them. The down side to this specialism is that when food plants become endangered, then the insect can't adapted to new sources and declines in numbers. This limiting factor then effects the next level up that relies on the insect for food, triggering a collapse of the food-web. One example Tallamy used was the demise of the Monarch butterfly. The Monarch caterpillar only feeds from the foliage of milkweeds, Asclepias sp. For a long time, both milkweeds and monarch could be found in mass numbers among crops grown for agriculture. However with hybridizing, many of our crops have been bred to resist damage from herbicide spraying, funneling more nutrients to the intended crops but eliminating the population of milkweeds that would have grown wild in our fields. 96.4% of migrating Monarchs have gone, leaving only 3.6% of what that number was. Apart from Monarchs, 11 other butterfly species are known to reproduce on Milkweeds. New sanctuaries have to be found if change is going to occur and Tallamy's answer is our gardens. Plants are the lifeblood of earth but our gardens have always been designed as status symbols. In America, nearly 45 million square acres (3 times more than irrigated corn crops) of lawns are grown, fed and watered for purely aesthetic reasoning. However, lawns don't filter water, don't provide clean air and don't support wildlife. We also fill are gardens with exotic, non native plants that are impervious to insect damage or spray harmful chemicals to ward off attacks. In theory are gardens have becoming food deserts, unable to support live. Tallamy's suggestion was to take some of this area and convert it back. "If half of American lawns were replaced with native plants, we would create the equivalent of a 20 million acre national park – nine times bigger than Yellowstone, or 100 times bigger than Shenandoah National Park." One example Tallamy used was of a courtyard garden (15ft x 15ft) found growing at the Department of Agriculture in Delaware. The garden contained just four plants of milkweeds but were found to be supporting over 150 monarch caterpillars. With such a small area set aside for native plants, it had become an island where a threaten population could find a haven. 'Native plants support native insects' was Tallamy's clear message. If you want birds you have to have a food source for them. In turn, to provide a food source for birds you need plants that are hosts to insects. The dilemma for a gardener is to except that your prized plant will at some point be nibbled on but the payoff is greater than the worth. An oak can support up to 550 different species of butterflies and moths which in turn provides food for birds, while an invasive Norway Maple is food for none. Once again, you always hit the important topics. Our gardens aren't just an opportunity for exterior decorating but part of an ecosystem of creatures that increasingly depend on us to survive. A garden without wildlife feels empty to me, regardless of how beautiful it may be. Dr Seuss was so wise to write The Lorax, one of my favorite children's stories. The monarch population is so reduced and fragile right now that we should all plant as much milkweed as we can. Their very lives depend on it. Thanks for your comments, I appreciate you reading. I adore being outside given the climate in North Carolina, there are couple of chances to appreciate the climate. It's hot, it's chilly, it's wet and right now in the spring the dust is an excessive amount to hold up under. Fortunately there are huge amounts of items out there that let us appreciate the magnificence of nature in our own particular homes. A house is a spot loaded with valuable wishes and dreams. A 'fantasy home' is a spot which is basically not made of blocks; it is made of numerous years of intensive arranging and expectations. Each and every block, shading, furniture and everything, which goes into making the house into home, has amazing quality. The Nature theme is a very appealing one for home decorating. There are obvious places to turn when thinking of bringing nature into your home, but if you think outside the box, you can get creative and find many other ways as well. Here's how we do it. Bamboo fountains can add a natural magical touch to your garden. The concept of bamboo fountains came from Japan where these were used to scare away the deer from the rice paddies. As such they are also known as Deer chasers. Organic gardening is really great and I guess every person wants to eat healthy food. I admire of the people who are fond of organic gardening. As far as I can see, you have compiled useful articles of organic gardening, what become the keys to success that we you might been have learning over the years. Dear friends! I just wanted to thank you for all that hard and effective work you've done to gather and publish this useful article. Keep up sharing with us!